This playful pen is a handy writing instrument with a whimsical touch of fantasy fun! This sleek blue dolphin figurine is sure to spark a smile; forms an easy-grip "handle" for a ball-point tip. 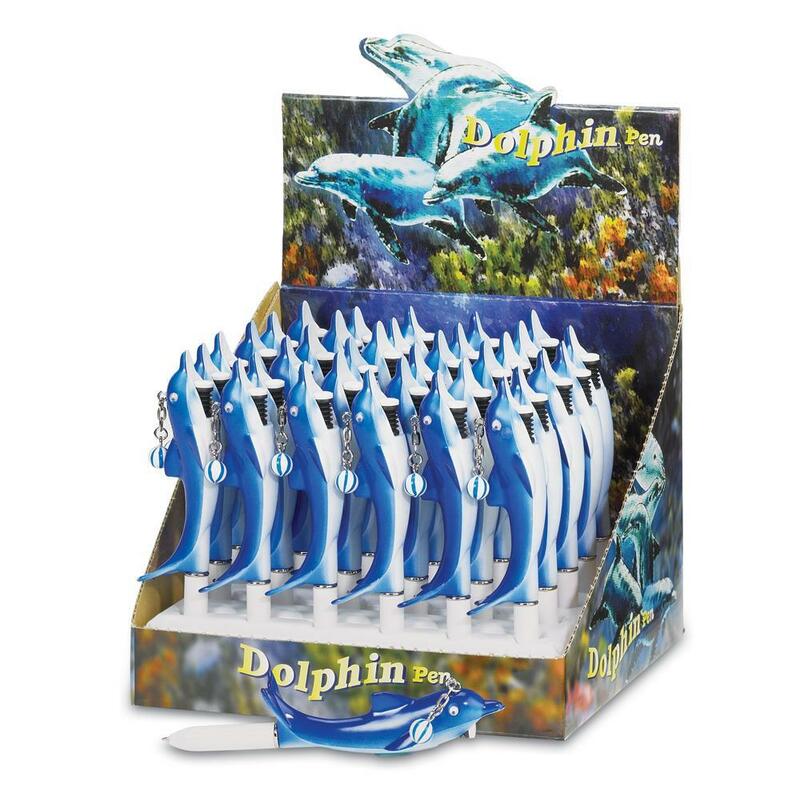 Multi-pack makes perfect party favors or special souvenirs! Weight	2.3 pounds. 36 pens per pack. Blue ink. Plastic. UPC: 849179014193.